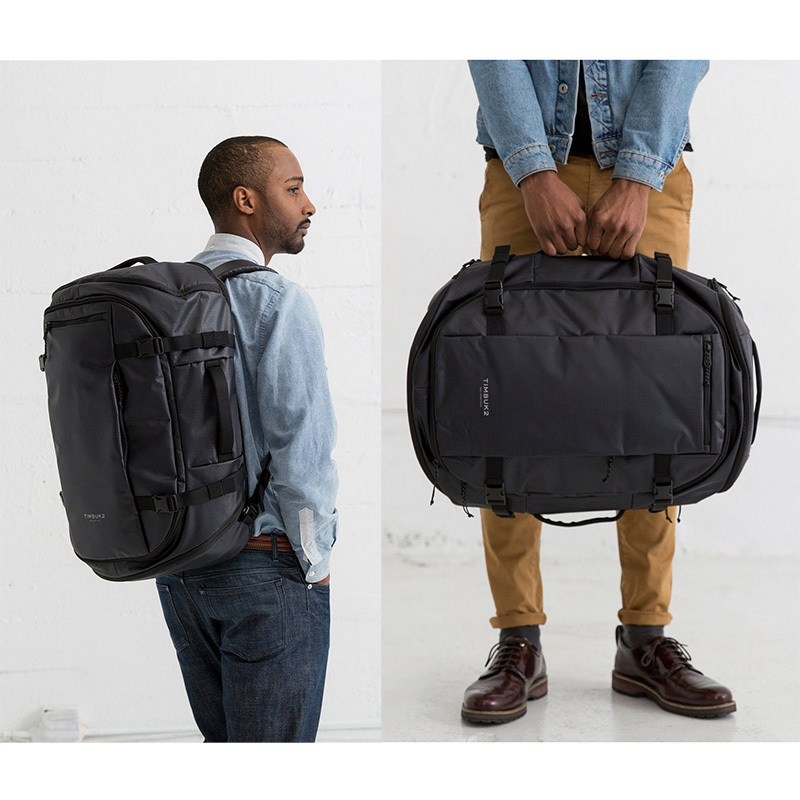 The Timbuk2 Wander is a convertible backpack and duffel bag made for those who need a high-volume travel bag to take with them wherever they roam. The main compartment is incredibly roomy and at 40-liters it’s the perfect size for one-bag travel enthusiasts. For easy duffel carry, simple unclip the shoulder straps at their ends and stow them away in the back panel. Lots of useful pockets and storage options throughout the bag. Wet/dry compartment is great for dirty clothes or shoes. External compression straps allows you to pack for a days or a couple of weeks. There are plastic clips that allow the shoulder straps to be stowed away when the bag is being used as a duffel. Yet these clips are poorly designed and can come loose when the shoulder straps are in use. No hip belt for help with heavier loads.